What began as a simple catch up in an Amsterdam bar didn’t take long to manifest into the 3.8-meter behemoth it is today. 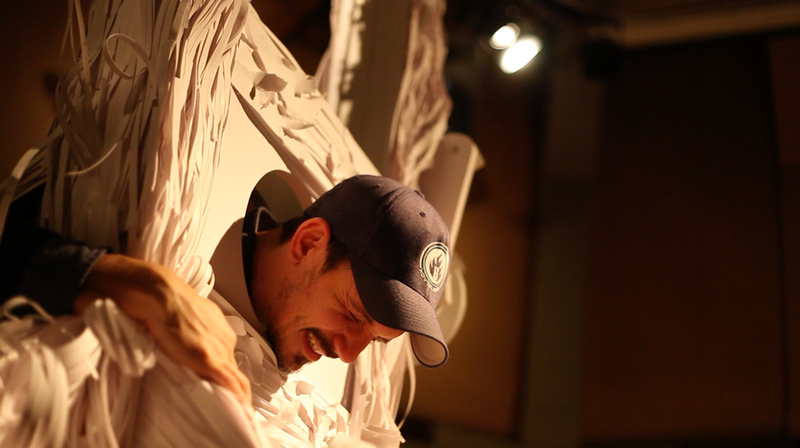 Paper Cuts, a collaboration between artists Mandy Smith and Hal Kirkland, is an interactive sculpture that invites people to experience the world’s most recognizable instrument of death, head first. However, unlike its deadly ancestor, this blade offers nothing more final than a paper cut. 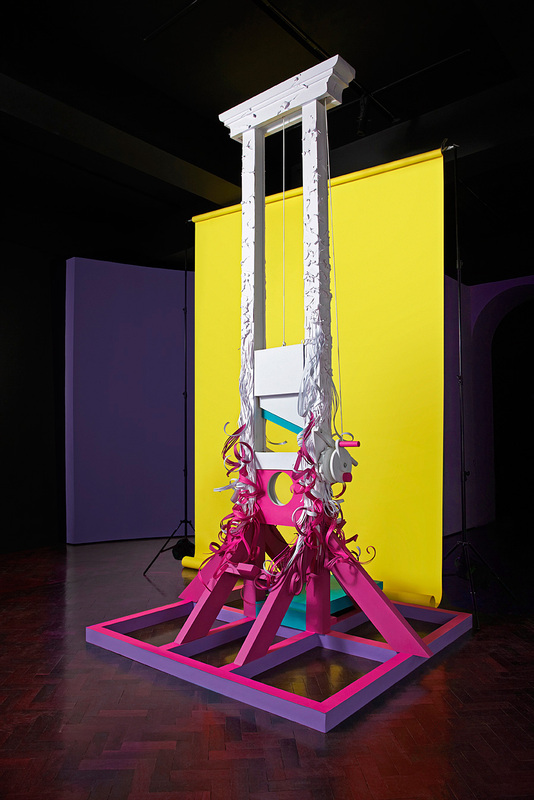 Mandy had always been disturbed by the idea of capital punishment since she was young and had begun to play with the idea of creating a series of deadly devices while juxtaposing them with the fragility and beauty of paper art. 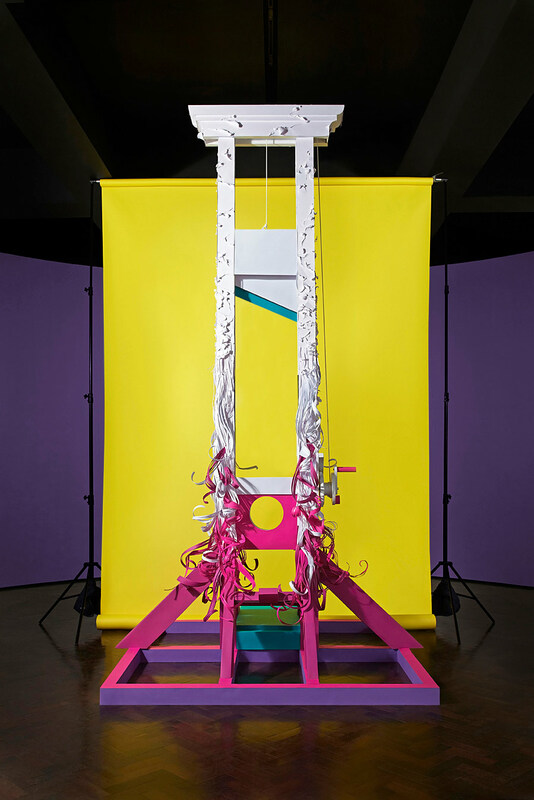 Hal suggested creating one at full-size, transforming the piece into a sculpture that allowed paper art – an art form usually too delicate to touch – to become interactive. This experience brings a new twist to this infamous apparatus while arousing people’s natural fascination for the macabre. It will transform a powerful and oppressive symbol of death into a thing of beauty. Delicate, inviting and something people may even line up for. Voluntarily this time. 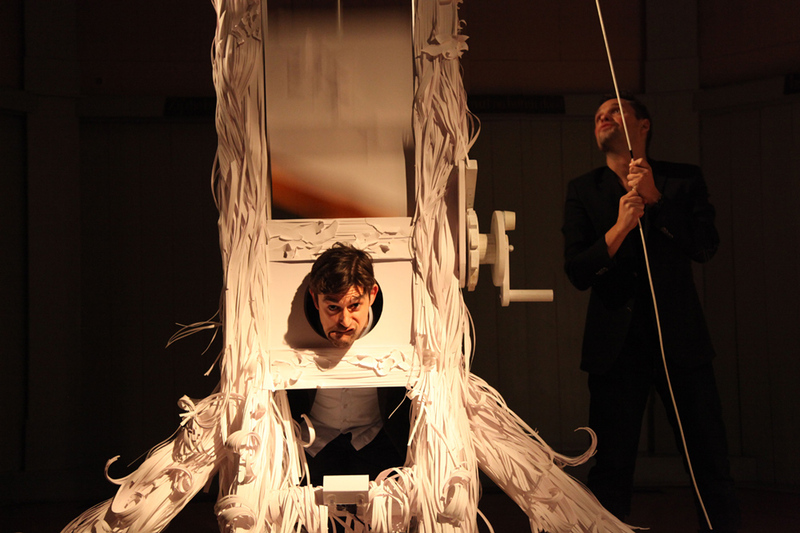 Every time the paper blade falls a camera will be triggered to capture the expression of those who have put their neck on the line for an art experience like no other. Each fearful facial expression is then forever immortalized on the PaperCuts-Exhibtion.com as a sharable Gif. 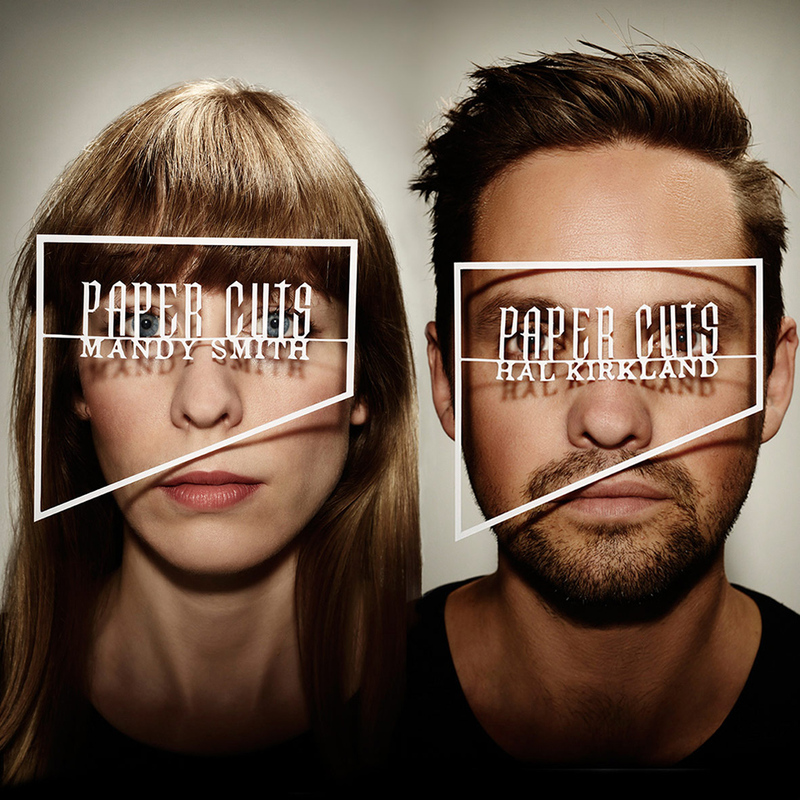 Paper Cuts launched on March 1st at one of Amsterdam’s most historic locations, De Waag. It recently appeared at the Pick Me Up – Graphic Arts Festival at Somerset House, London and is now preparing to tour the globe. 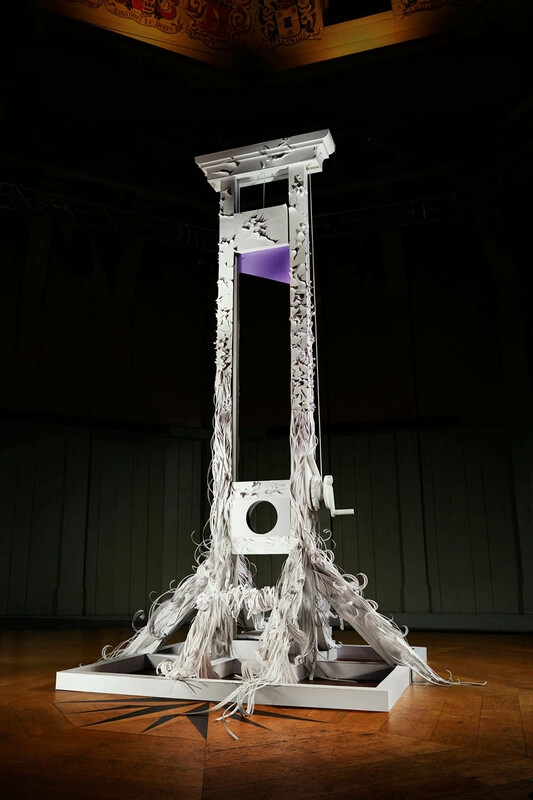 Below is a video where you can see this paper guillotine in action. For more pictures and information I invite you to visit the artists’ website specially dedicated to this piece. Like a good shoulder bag, very stylish, very easy to match, good quality, good workmanship fine like this bag ah, quality invincible super good! Thank you passionate sellers ah! Good good good small small small ah, but good good OK US ah.